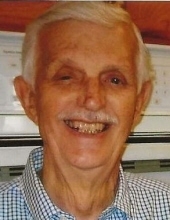 Celebrating the life of Earle Evatt Leonard, Jr.
Obituary for Earle Evatt Leonard, Jr.
Earle Evatt Leonard, Jr., age 92 passed away peacefully at home on Friday, January 18, 2019. Brittney and two great grandchildren Luke and Madeline; and grandson Christian; and his son Byron Leonard. attending Law School at Loyola University, renovating buildings, owning gift shops and investing in real estate. He bought and sold over 100 properties in his lifetime. Earle semi-retired to the Hill Country in 1995. Earle and Jeanie attended Cornerstone Church in San Antonio. He is loved by his children, grandchildren and great grandchildren. www.hiscentre.com/livaudais or Hope Hospice, New Braunfels. Pkwy, San Antonio TX 78258 with reception to follow. To send flowers or a remembrance gift to the family of Earle Evatt Leonard, Jr., please visit our Tribute Store. "Email Address" would like to share the life celebration of Earle Evatt Leonard, Jr.. Click on the "link" to go to share a favorite memory or leave a condolence message for the family.